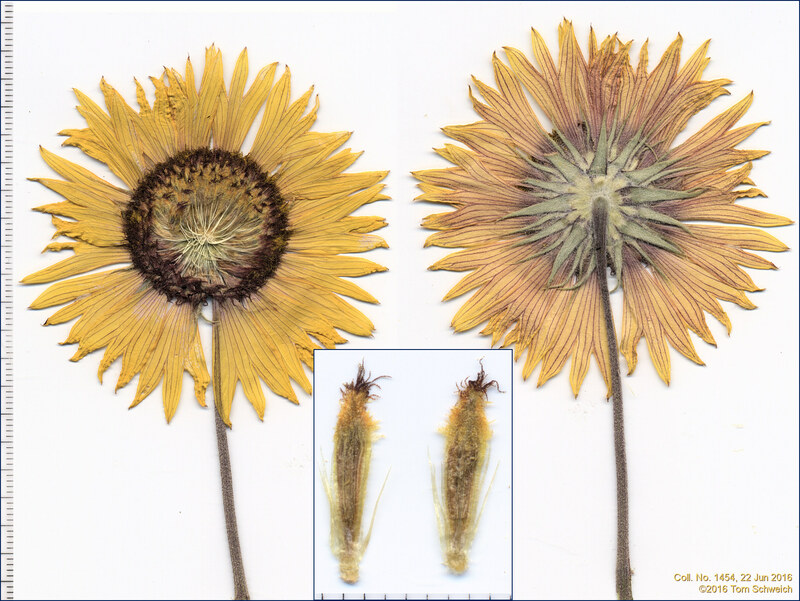 The flower head at left has been partially dissected to show the long stiff setae arising from the receptacle. Inset show pappus of scales on the disk flowers. Field Notes: Coll. No. 1454, 27 Jun 2016.